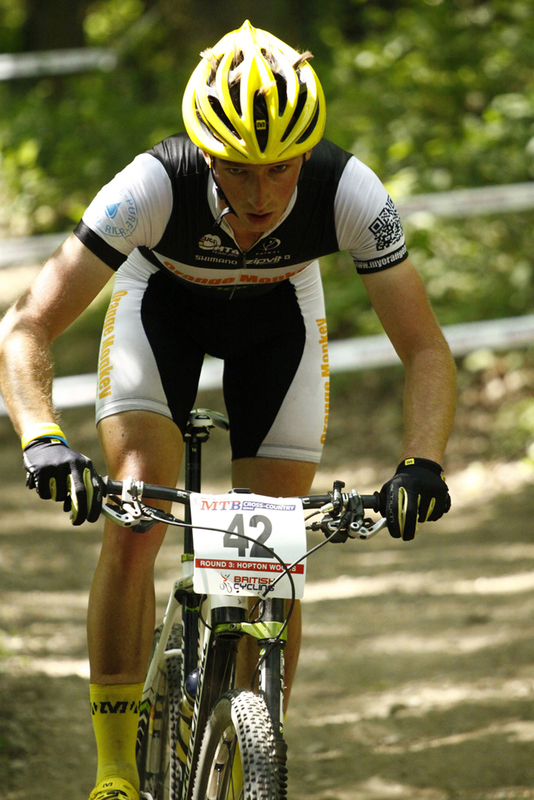 KCNC are proud to support riders to race in a variety of cycling disciplines. 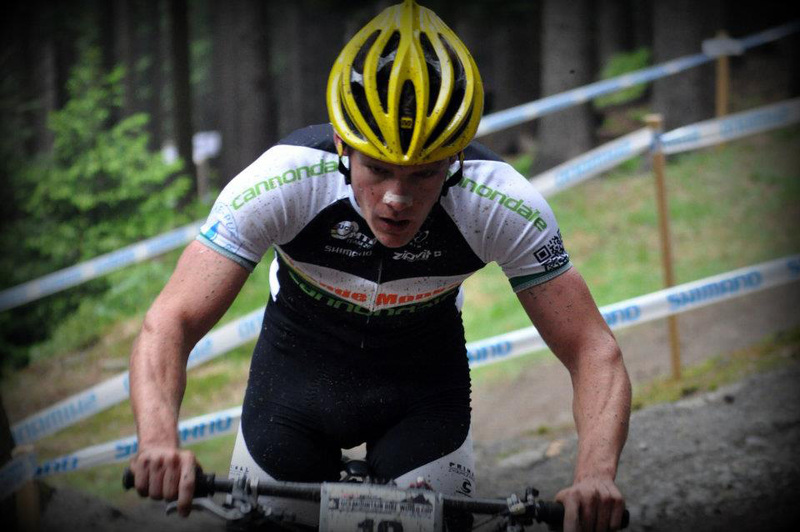 See how the our sponsored riders are getting on this season, below. 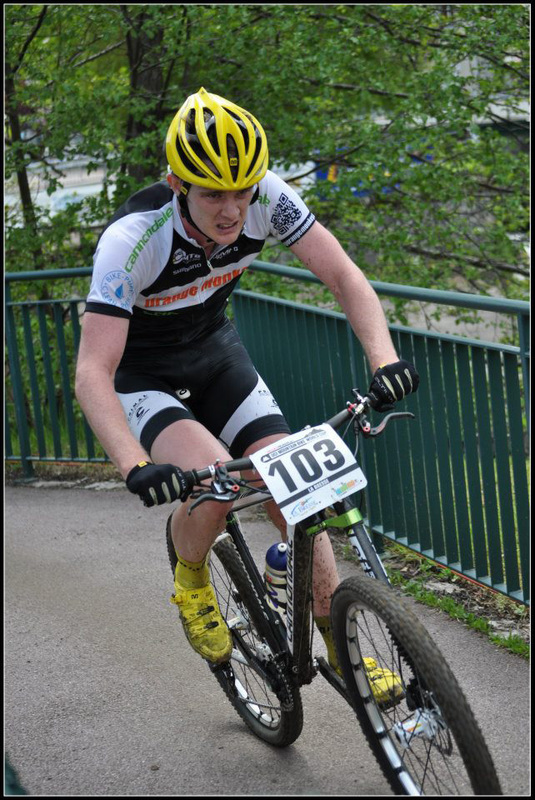 Clee Cycles KCNC rider James Hyde on his way to 2nd BC XC Series 2014 – Rd2 Expert Class. 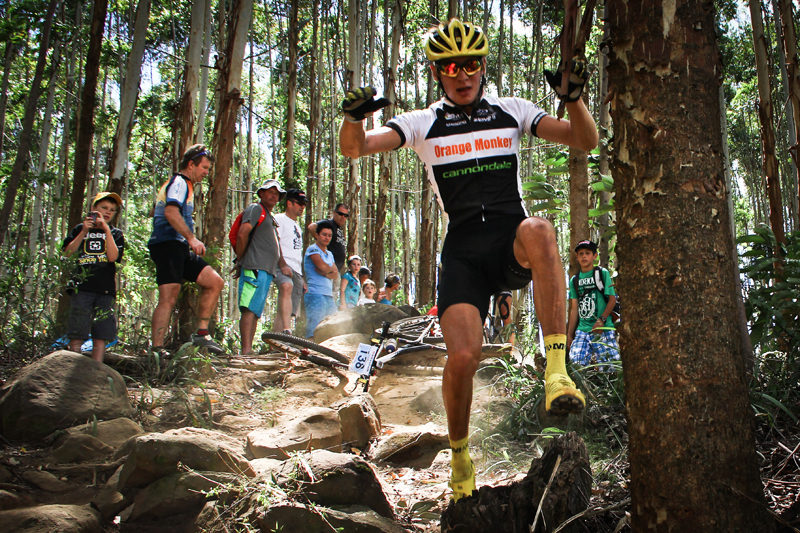 Orange Monkey sent Mariske Strauss to her home country to race the World Champs - with high hopes of the podium. It didn't work out exactly according to plan - but that's racing! 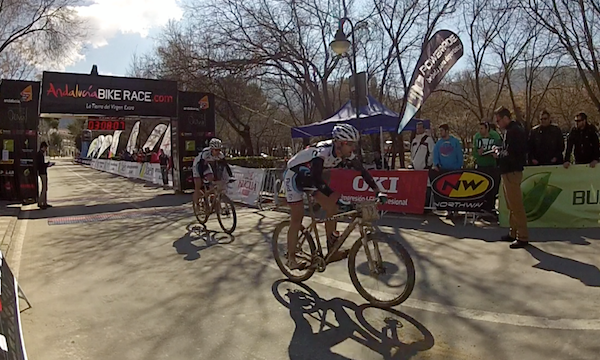 She finished 8th - still an excellent result - read the report on the and Orange Monkey Pro Team website. 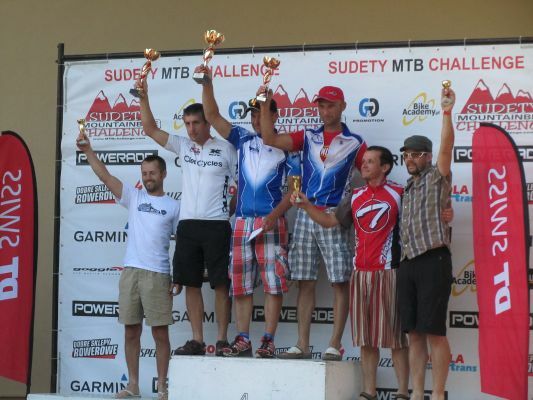 We're back from Poland having raced the Sudety MTB Challenge Stage race. A great 6 days of racing in the mountains on the Czech border in very testing hot weather! 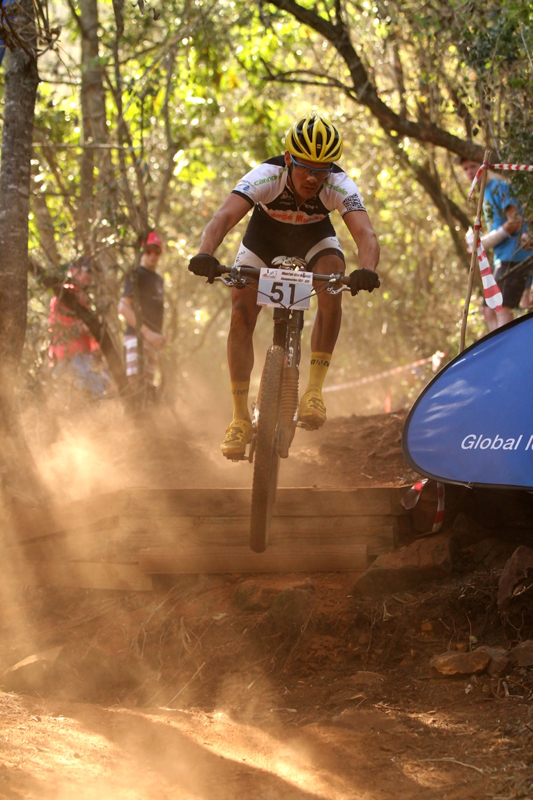 See our race report for more details. 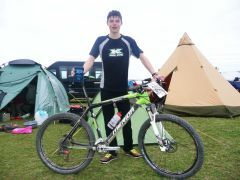 Arthur Green raced Round 2 and had a good ride on a rocky, techy course! With the quarry course littered with punctures - Arthur feared the worst when he found sealant whipping up in the air like a Catherine wheel - but luckily it sealed! 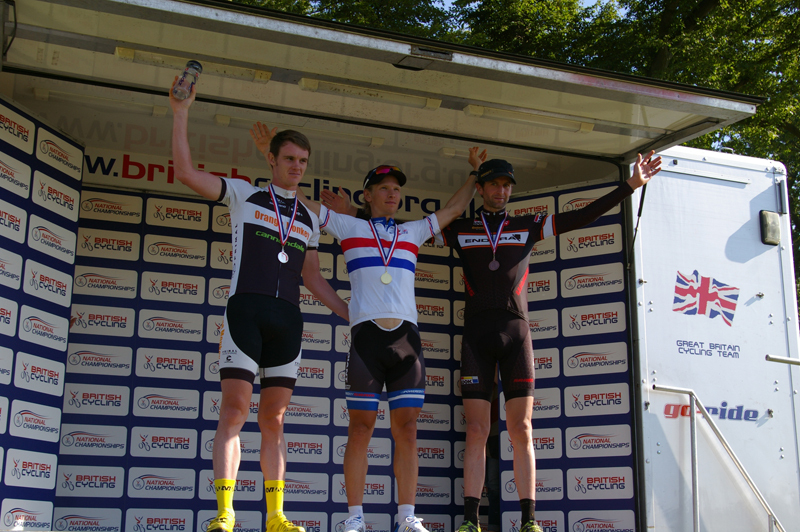 The sprint caught him out a bit - but a podium made the journey worth it! 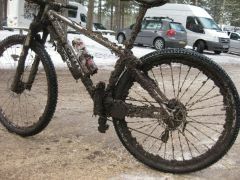 KCNC well represented at the first round of the British Cycling XC Series in the most arduous conditions we've ever raced in! The Fluid Fin boys Seb and Hamish rode superbly to 6th and 7th in the Elite Race. 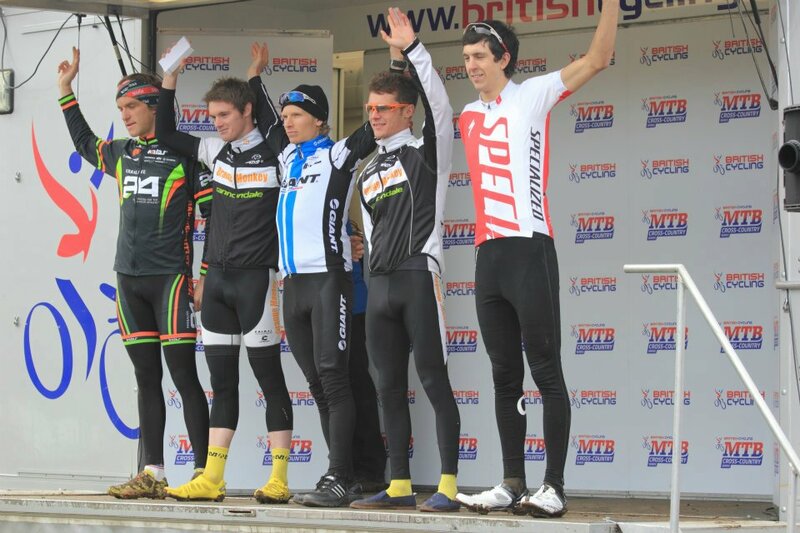 Orange Monkey Billy Harding Podiumed in the Junior Race. 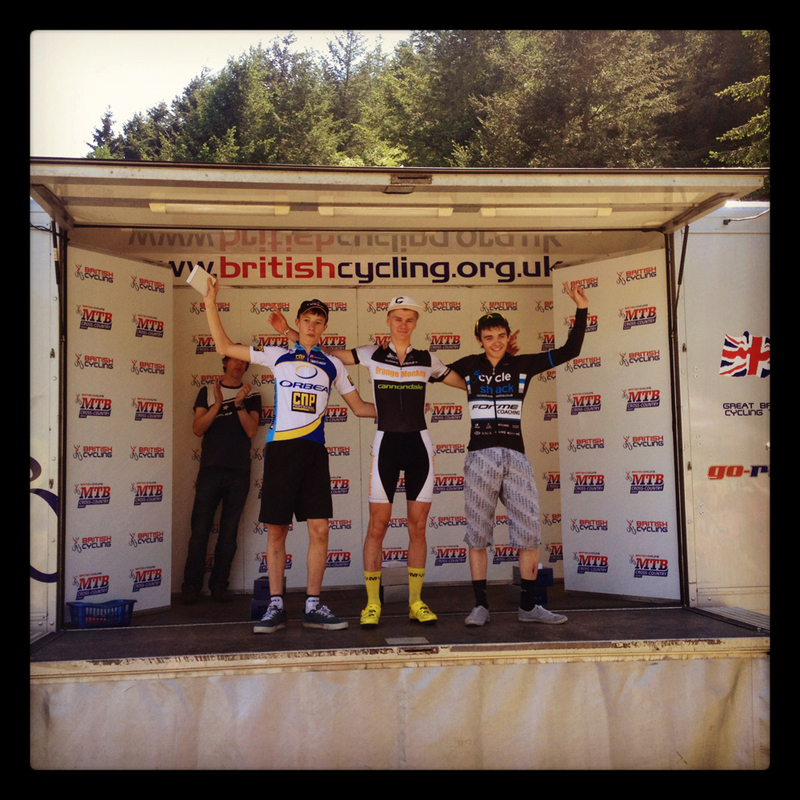 Cycle-tec's Jonnie Pugh won the Masters Race, with good rides from Dave Evans and James Nixon. Broken chains let down Clee Cycles Nicky Morris and James Hyde, Lloyd and Andy finished the Vets race in 14th and 23rd spot. And Stephania Magri travelled from sunny Malta having never raced in mud let alone snow - but finished the Elite race in 17th! Well done all! 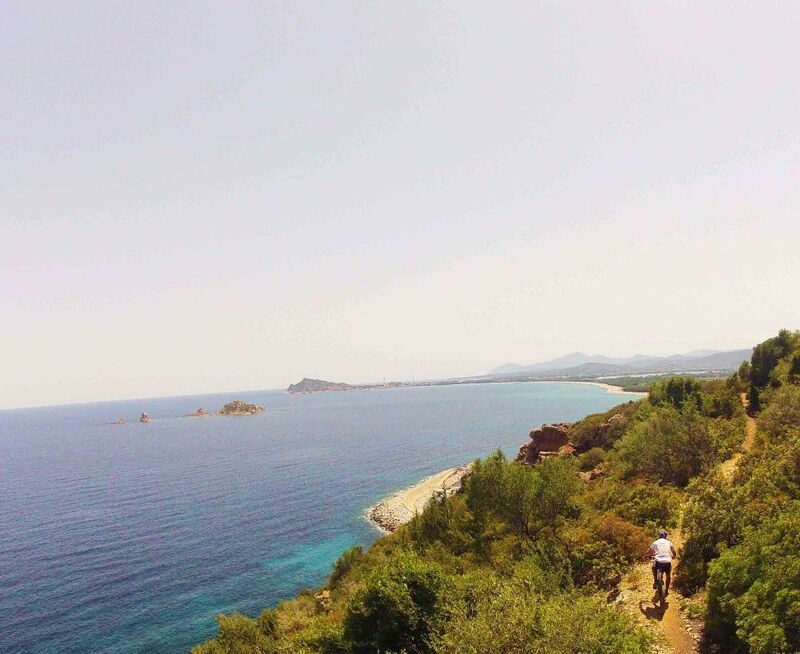 The Andalucia Bike Race is won of the top stages races in the world and used by a lot of pro riders early season. This year's weather was decidedly "British" with one day cancelled! But Fluid Fin riders Hamish and Sebastian Batchelor toughed it out and finished a very credible 13th overall! For their race week see their Facebook page. After the huge success of 2011, our first year as a professional UCI team, we were extremely excited to start 2012 with a bang! It was for this reason we decided to start our year in South Africa with a 5 week training camp near the home of our South African National U23 Champion, Rourke Croeser. This would be the first time we had not started the year in Cyprus at the Sunshine Cup but would provide us with the perfect base to go into the first round of the UCI World Cup. Read a full review at myorangemonkey.co.uk. The National XC Series wrapped up down in Essex where we secured 3rd and 5th in the overall series, which showed our consistency throughout the season. We were the only team to put two riders in the top five so obviously we were very pleased with that! Seb represented GB at the World Champs, and finished 43rd from a grid start of 68 - which was a solid result. 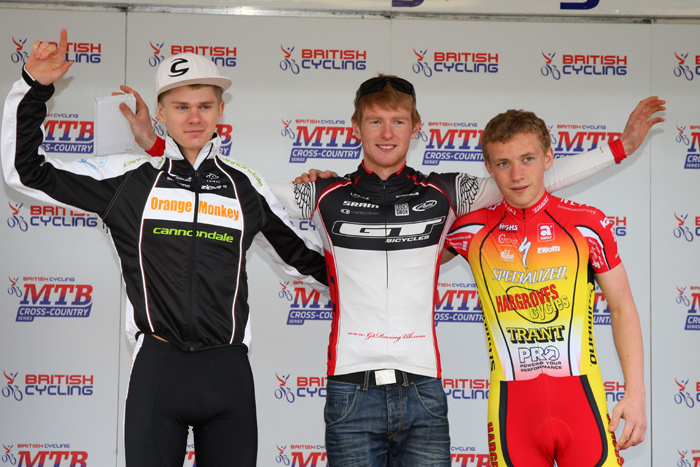 The weekend before Hamish flew out to Denmark for the MTBLigia finale and rode to 9th. 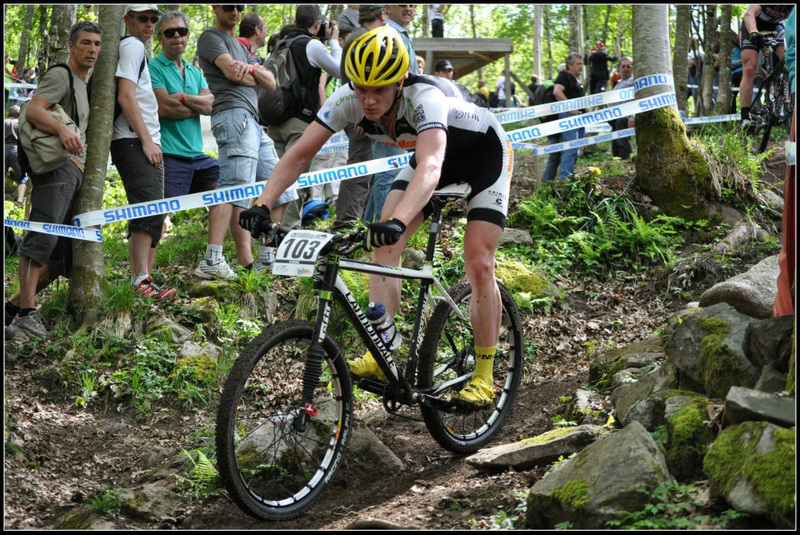 The summer season finished for us in Germany at the last round of the Bundesligia where Seb claimed 9th in a really strong post Worlds field. Next up is the Rapha Super Cross Series at the end of October. As one of the top UK MTB teams we were invited by the organiser to put a 5 man team together, and we have managed to assemble a very strong group which looks set to challenge for the overall win. We will keep you posted! We would also like to take this opportunity to thank you for the support this season, without which we would not have been able to get the team off the ground and have achieved such success in competition. 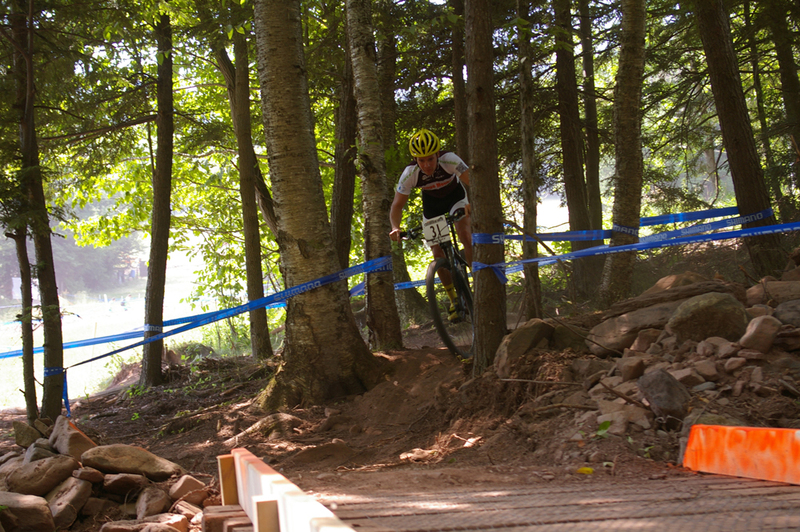 The team travelled to Mont-Sainte-Anne, Canada for the first time in their history last weekend in a much anticipated World Cup round 5. 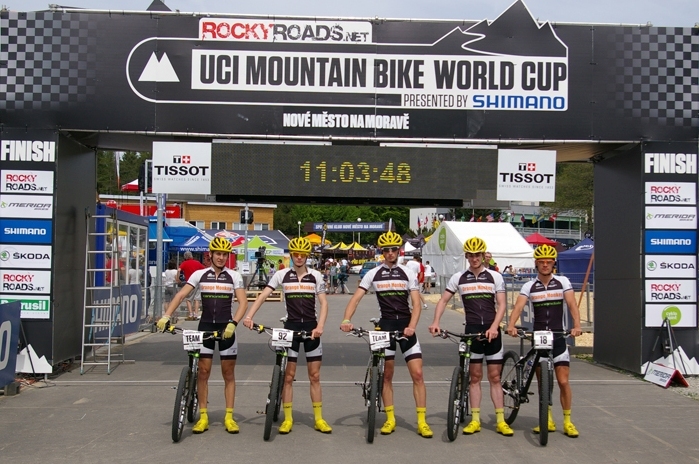 This would be the first time a British UCI XC team had competed in a North American World Cup. 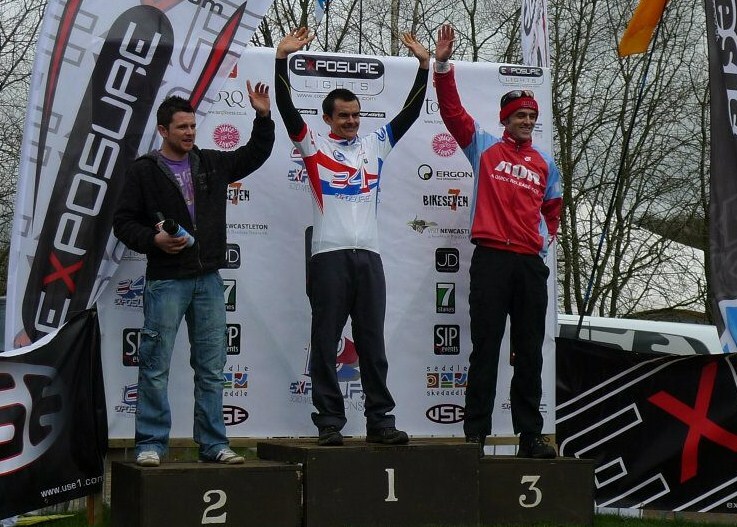 The pressure was on after a disappointing weekend at the British Series race just one week before. 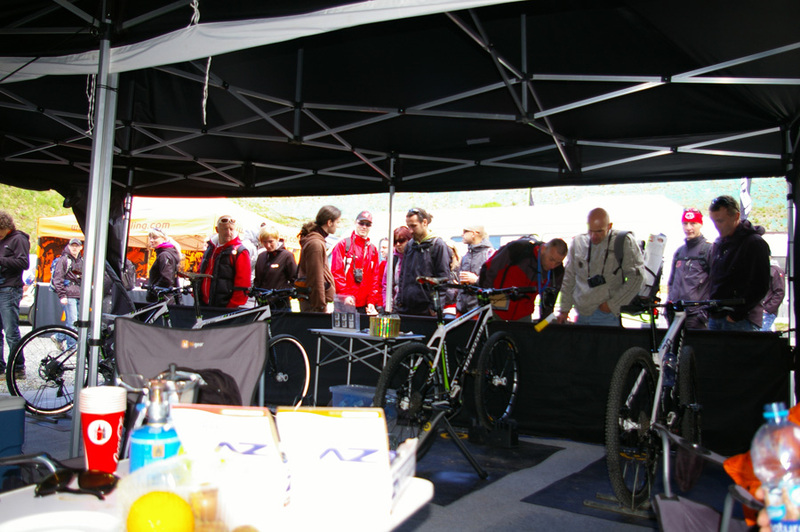 Rourke had to abandon followign an illness prior to the race, Dave had a tought ride and finished 52nd. Read their report here. The second week of their first trip to North America took them down from Canada to Windham, New York state. 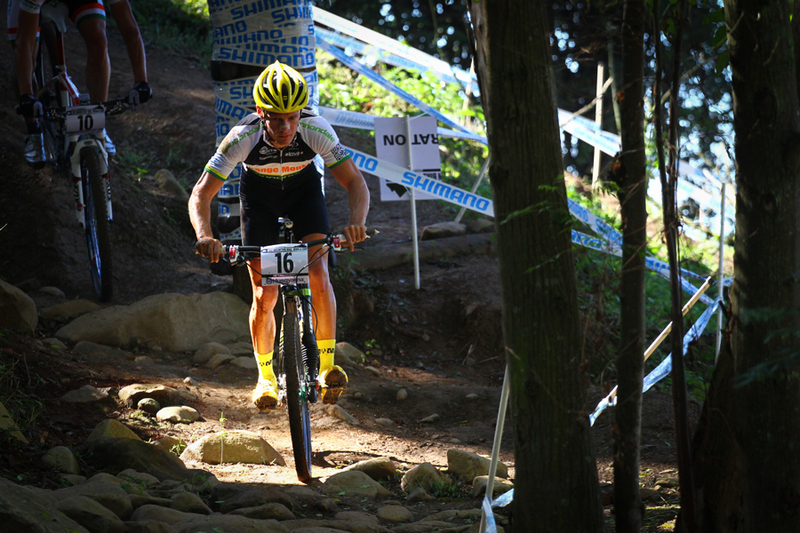 South African Champion Rourke finished 12th, his best World Cup result to date, and Dave won a thrilling sprint finish to take 38th spot - also his best World Cup Result. here. 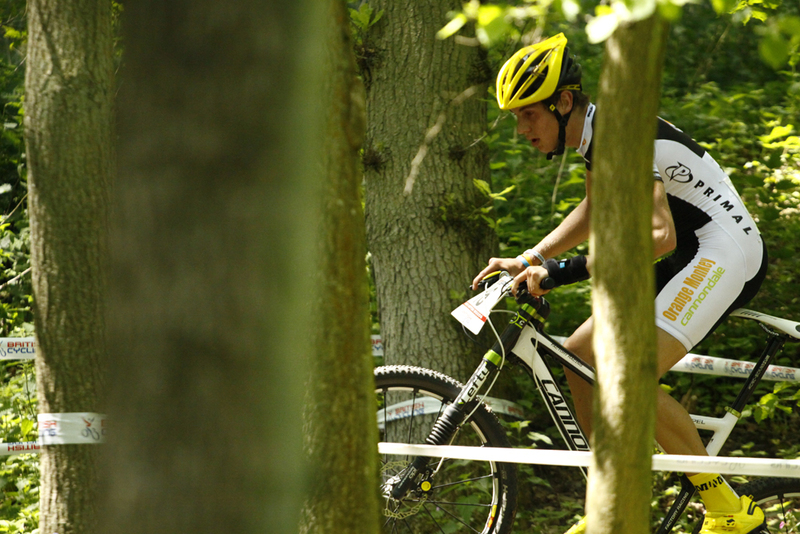 Seb Batchelor rode through the field to finish 21st in round two of the World Cup in Houffalize, Belgium, before taking 6th the following weekend at the UCI C1 British NPS at Dalby Forest. 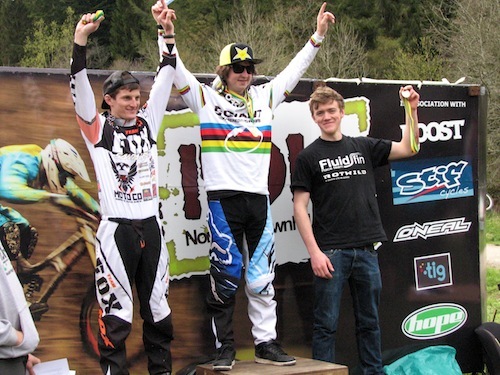 Rowan Buckley was in action at the NDH Trailbike Downhill, Hamserley Forest, where he took to 3rd place just behind current DH World Champion Danny Hart. 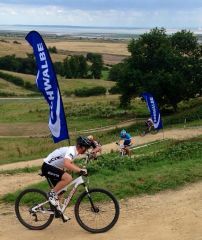 Both Seb and Hamish Batchelor took to the start line for the third round of the British National Series. Riding well together they were able to secure 4th and 6th respectively in a three way sprint to the line. 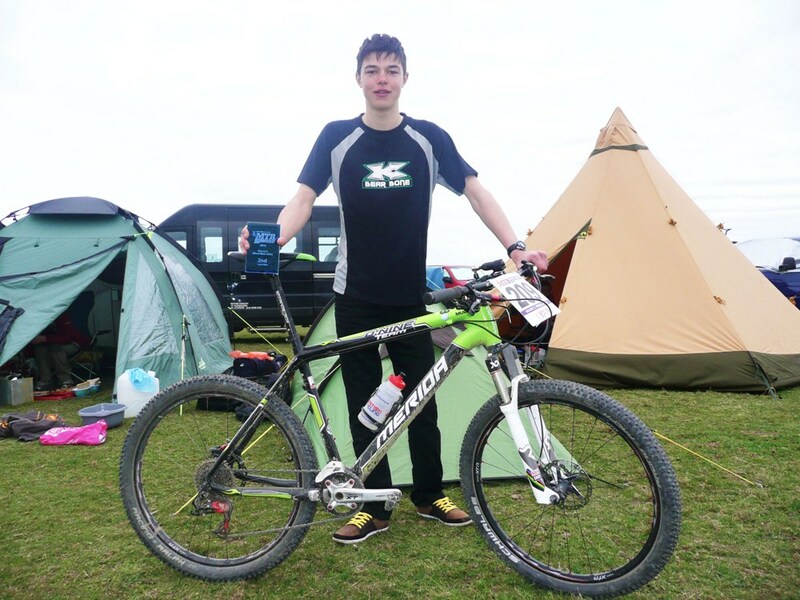 Hamish will next compete in the British X-Tri Championships where he aim’s to maintain his 100% win record in British Xterra races, before heading to round four of the British National XC series in Dumfries. 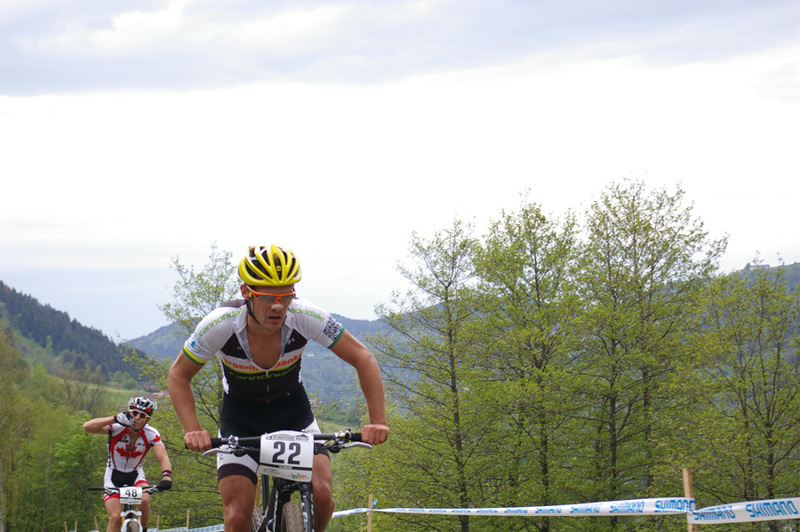 Seb will be flying out to the USA for the next two rounds of the XCO World Cup at the end of June in Mont Sainte Anne, Quebec Canada, and Windham, New York. There are some YouTube videos - so check out their channel for those: www.youtube.com/FluidFinRaceTeam. The course was what is now referred to as “old school” with a lung busting climb broken up into three different segments followed by a sweeping fast downhill. In a rare turn of events the weather was actually hot and we had the chance of a dry race for the first time in weeks! David Fletcher In the Elite race Dave got a great start and quickly established himself at the front of the pack with only Oli Beckingsale able to go with him. Behind, Paul also had a fantastic start moving up from last row on the grid to inside the top 25 on the opening climb. Ben held position and was riding strong while in the Junior race behind, Alex was taking the race by storm and quickly took the lead. 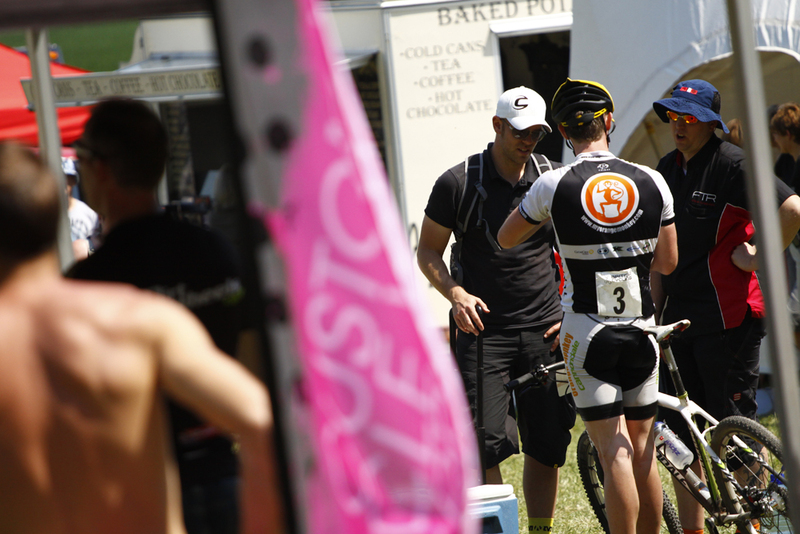 By the midway point, Paul was up to 14th and looking strong while Ben, although holding his position and riding well didn’t look his usual self – little did he know he was actually suffering from Shingles! Alex meanwhile was riding like his old self and came through to take a comfortable win, his first National win of the season and a great result for the team. Ben Roff As the Elite race entered its final lap disaster struck for Dave as a front puncture on the first climb gave him no choice but to abandon the race whilst fighting for the win leaving him gutted feeling in such great shape. 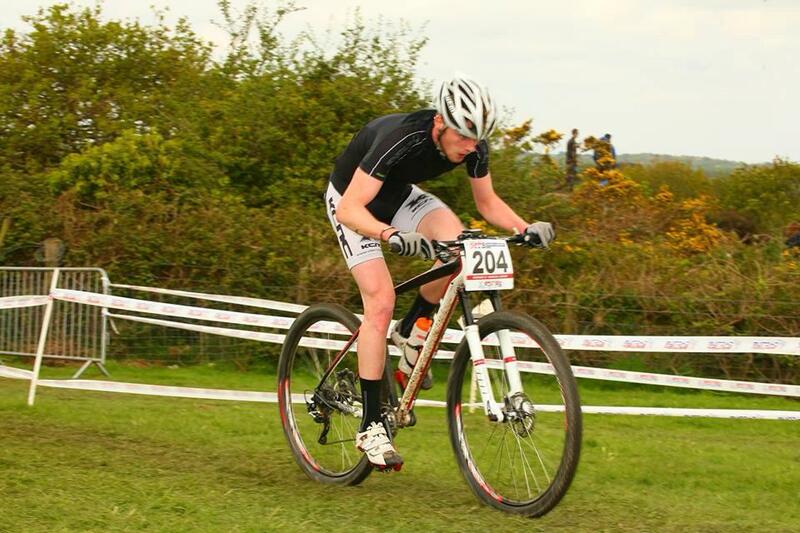 Ben continued with his steady ride and finished well while Paul was delighted to take 20th position from his gridding of 42nd showing that he is finally showing the form he is capable of. The team now have a short break before round four of the National Series in Scotland and then the World Cups in USA and Canada. 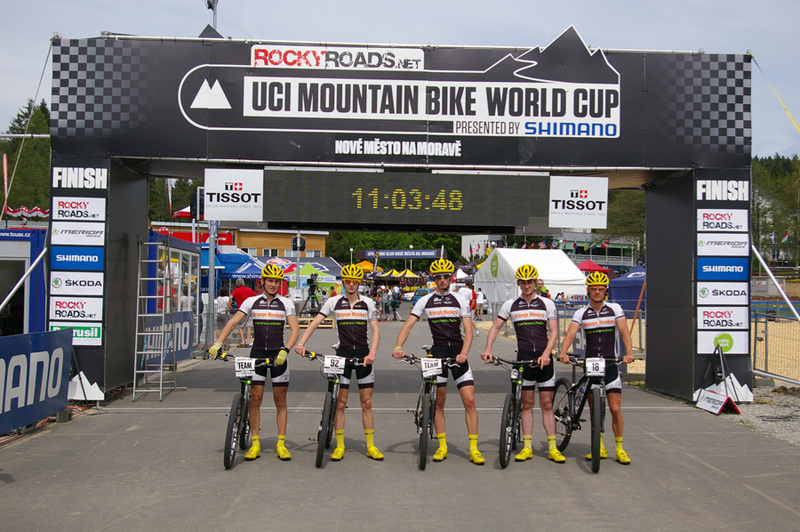 The Monkeys have been touring Europe for 2 rounds of the UCI World XC Series - see how they got on at Round 3 in the Czech Republic and Round 4 in La Bresse, France. 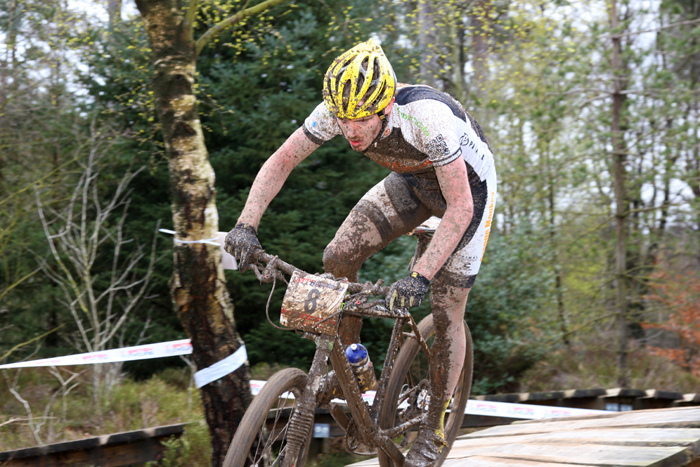 Orange Monkey-Cannondale recorded their most successful International race weekend with three podium positions on a wet and muddy course at the British Cross Country Series in Dalby Forest, UK. After arriving back from a successful World Cup in Houffalize the riders were excited to carry there good form into a home race. 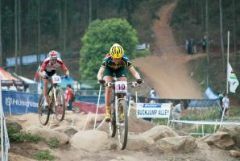 Set on the World Cup course of 2011 with just a few minor changes the riders knew the course well. 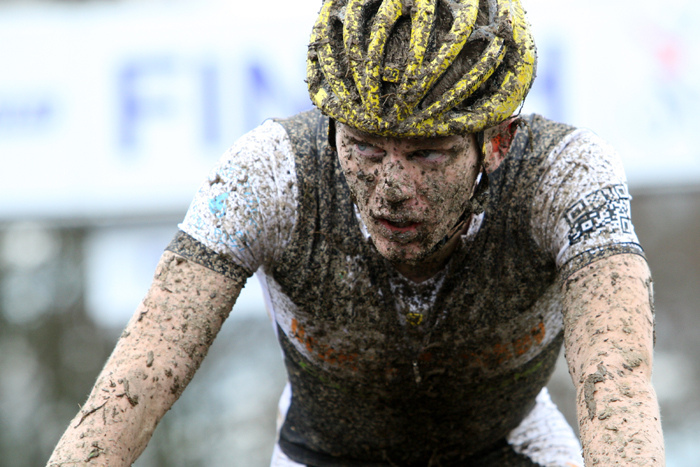 A hail storm and torrential rain changed a lot but not our rider’s spirits. The Olympics are just around the corner and with both our top Elite athletes, David Fletcher and Rourke Croeser still very much in contention for Great Britain and South Africa this was a pressure race like no other – and they delivered. 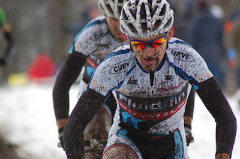 Getting a great start on the mud soaked start loop was imperative and Rourke soon attached himself to the back of double Olympian, Liam Killeen’s wheel as they made their way out of the arena – closely followed by David Fletcher. At the midway point, David had edged in front of Rourke and Killeen had pulled a small gap out over our young stars. The chasers behind in this International field of top athletes included Matthias Wengelin of Sweden, Ola Kjoren of Norway and Robby De Bock of Belgium along with Great Britain’s Steve James, Seb Bathcelor and Nick Craig. However the top three would remain and Fletcher came home to record one of his best results and without doubt the biggest triumph for Orange Monkey-Cannondale in there 7 year history. To put the icing on the cake Croeser maintained his gap on Wengelin to finish a comfortable 3rd (1st Under 23) and give us a double Elite podium for the first time. Ben Roff recorded a finish of 51st, to continue his remarkable recovery from a broken wrist just a few weeks ago in South Africa whilst Beales was unable to finish with illness. We were delighted to have guest rider, Barabara Benko of Team Focus-MIG with us for the weekend – a silver medallist at Under 23 World championships and also an Olympic hopeful. Benko too had a fantastic race - battling with Great Britain’s Annie Last who eventually beat her into second and Rie Katayama of Japan who took third. We wish her well for the rest of the season. In the Junior race, Alex Baker continued with his recent form of late and broke away into a leading group of 7 riders early on before setting such a furious pace on the front that could only be matched by Ed McParland of GT Racing UK. 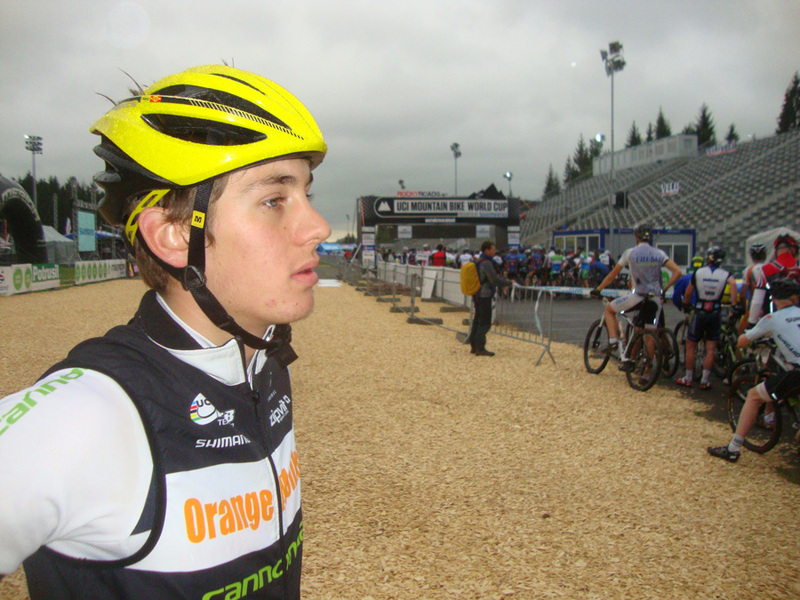 It would be Baker and McParland who would stay away from the rest of the field by some distance and they entered the arena together for a sprint finale eventually won by McParland, just pipping Baker into 2nd but giving our star Junior his best result of the season and a third podium of the day for Orange Monkey-Cannondale. Three Podiums at a UCI Category 1 race was undoubtedly one of the proudest moments in the team’s history and with two riders battling to make Olympic selection the future is looking very good indeed for this talented young team. 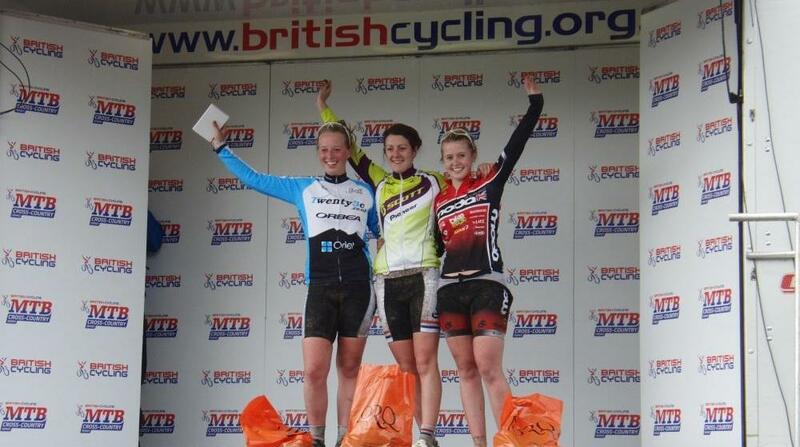 A great result for Imogen in the Junior Womens race - see her report below. 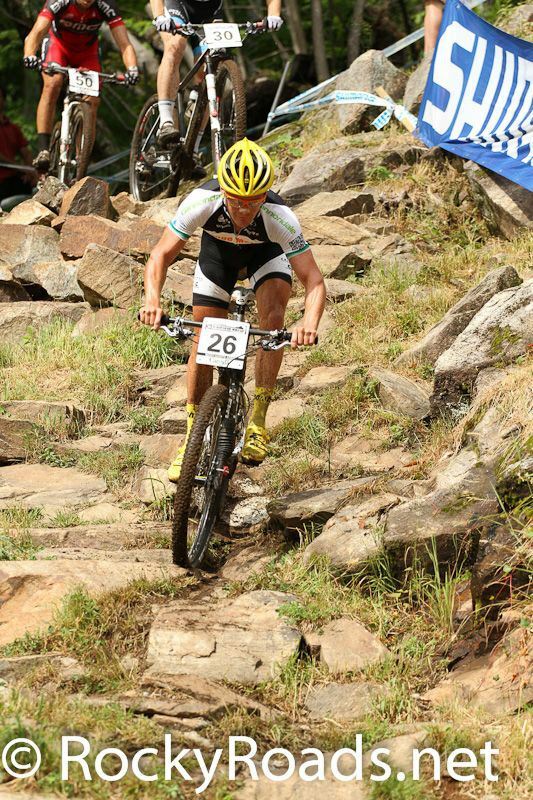 I had a really good start and was into the singletrack second (after Beth Crumpton) and feeling good. 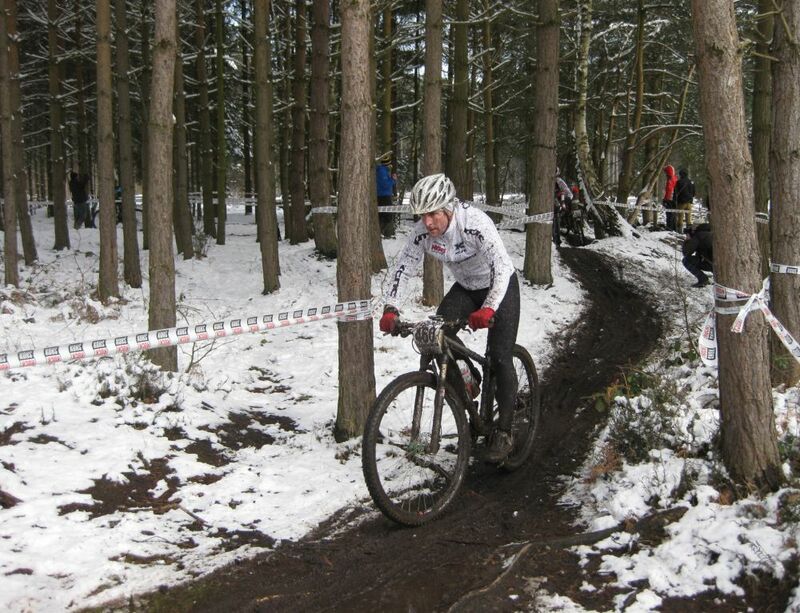 Despite the conditions the course held up well and it was still fun to ride, if a bit sketchy in places. Things were going well until I reached Medusa’s drop. The conditions were destroying brakepads, the result being an altercation with a tree at the bottom of the ‘A’ line, which seemed to take rather a long time to extract myself from. I managed to rip my Garmin off and, in dramatic fashion, thrust it into the hands of a spectator/marshall, shouting my name and team at him as I rode off. Thank you to that man, as he very kindly returned it to me later on! After that things progressed fairly smoothly, apart from trying to tackle Worry Gill (again with limited brake use) which concluded with me bruising my belly from the back of my saddle -I think that’s a first. Perhaps another first was that I loved the hills, especially the climb after Medusa’s. I felt strong, and I suppose with living in Norfolk inclines have some sort of novelty value! I finished happy and very muddy, about a minute behind Alice Barnes who was in second place. Overall the race was good; it was nice to be racing for a podium, trying to keep a position and having the determination to push on. 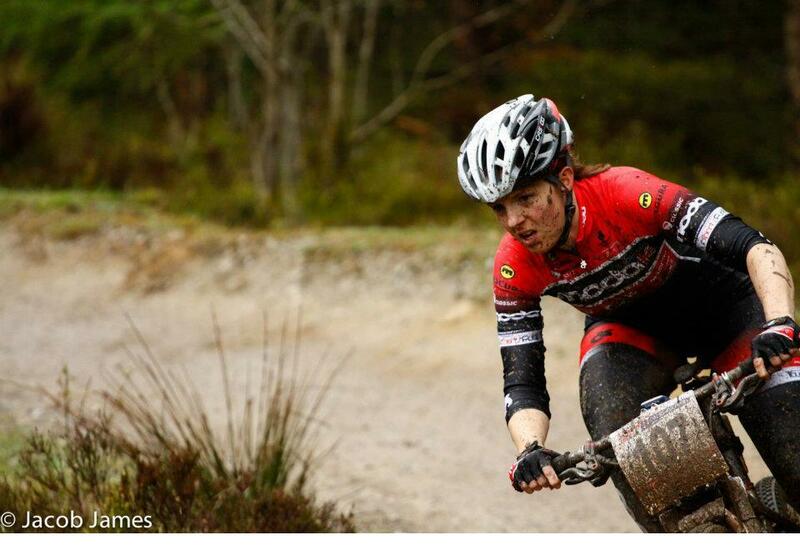 Also a good result for Ruth Owen-Evans who competed in the Elite Womens race at Dalby Forest. She finished 15th to claim her first UCI points. 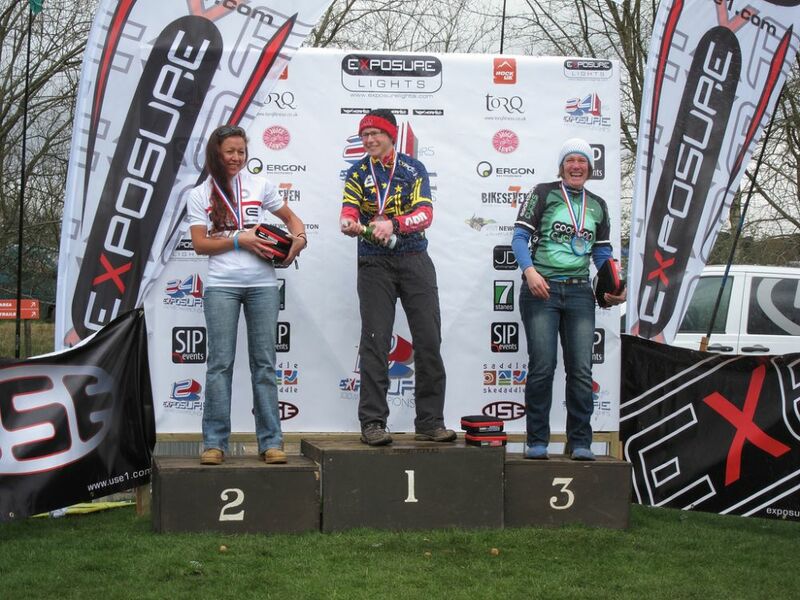 This weekend Rachel Sokal became European & National 24hr solo champion at the 24hrs of Exposure in Newcastleton, on board her Cotic Soda and KP. And, as if that wasn't enough, in was her first ever 24hr solo race, she also picked up the Rookie jersey AND fastest lap prizes! 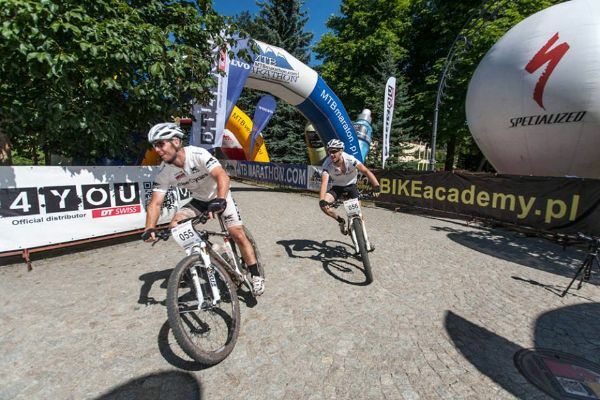 Not content with one star on the team, Anthony Jordan also took his share of the limelight with 3rd in the 24hr solo National Champs category and 4th in the European category!